WEIRD REALITY is a project of Carnegie Mellon’s Frank-Ratchye STUDIO for Creative Inquiry, a laboratory for atypical, anti-disciplinary, and inter-institutional research at the intersections of arts, science, technology and culture. Founded in 1989 within the CMU College of Fine Arts, the STUDIO serves as a flexible center for new modes of arts research, production and presentation. WEIRD REALITY is organized in close partnership with the 2016 VIA Festival, Pittsburgh’s premier audiovisual festival and a platform for the intersection of emerging music, new media art, and technology in a wide variety of forms. Founded in 2010, VIA showcases what’s next in music, art, and technology by artists from home and around the world. Golan Levin is Director of Carnegie Mellon’s Frank-Ratchye STUDIO for Creative Inquiry, a laboratory for atypical, anti-disciplinary, and inter-institutional research across the arts, science, technology and culture. 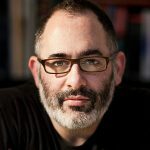 As a member of the faculty at CMU, Golan is an Associate Professor of Electronic Art, and also holds Courtesy Appointments in CMU’s School of Computer Science, School of Design, School of Architecture, and Entertainment Technology Center. Golan has spent half his life as an artist embedded within technological research environments, in places like the MIT Media Laboratory, Eyebeam Art + Technology Center, and the Ars Electronica Futurelab. In 2009, Golan founded the Art && Code conference series, dedicated to the democratization of computational tools and the exploration of the cultural, critical and aesthetic potentials of emerging technologies. Lauren Goshinski is a curator, event producer, and artist who creates platforms for experiencing emerging music and new media art. As the co-founder/director of VIA and the annual VIA Festival. Lauren works between musicians and visual artists to produce custom audio-visual performances, commission new works, and create educational programs that expand what a festival can be for both artists and audience. VIA operates between the gallery and club, working with a broad network of organizations from the Studio for Creative Inquiry, Andy Warhol Museum, and Carnegie Museum of Art to nightclubs, independent promoters, and artist groups to create experiences that reflect the intersection of various local and global scenes. 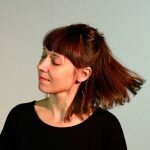 Lauren also DJs and is a contributor to the all-female art collective dadpranks, whose digital photo and video projects explore the relationship between consumer and technology, both on- and offline. 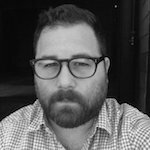 Tom Hughes is an arts management professional with over 8 years of experience assisting creative individuals and arts organizations. He is responsible for managing STUDIO programs and initiatives as well as administering the Frank-Ratchye Fund for Art @ the Frontier grant program. Linda Hager is Business Manager of the Frank-Ratchye STUDIO for Creative Inquiry at Carnegie Mellon University. 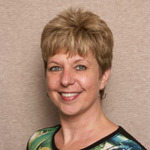 Prior to joining the STUDIO, Linda served for 6 years as Business Administrator with the Language Technologies Institute of CMU’s School of Computer Science. Linda is responsible for administrating all financial and other logistical matters within the STUDIO.